If you've followed my blog for some time, you may know I am obsessed with 311. Seen them around 25 times (maybe more) and have been a fan for nearly 20 years. The band's message is all about unity and positivity. While most brush them off as a 90s band, 311 still has a huge following and tour every year, and put out new albums regularly. They even celebrate 311 Day (March 11, or 3/11) with fans. A few years back I went to 311 Day in Vegas and it was an AMAZING five-hour show! Whether you're a 311 fan or not, I wanted to pass along some happiness in the form of my favorite lyric - trust your instincts and let go of regret. For me, this lyric helps me remember that even though life gets tough, I've got to do what's best for me and don't look back. I hope it inspires you, too! I've only ever listened to 311 a few times! I should seriously give them another listen. I still totally love 311 too! Every time I hear Down I totally jam out! That is a very good message. I still have some of their jams on my iPod. that is a great quote. 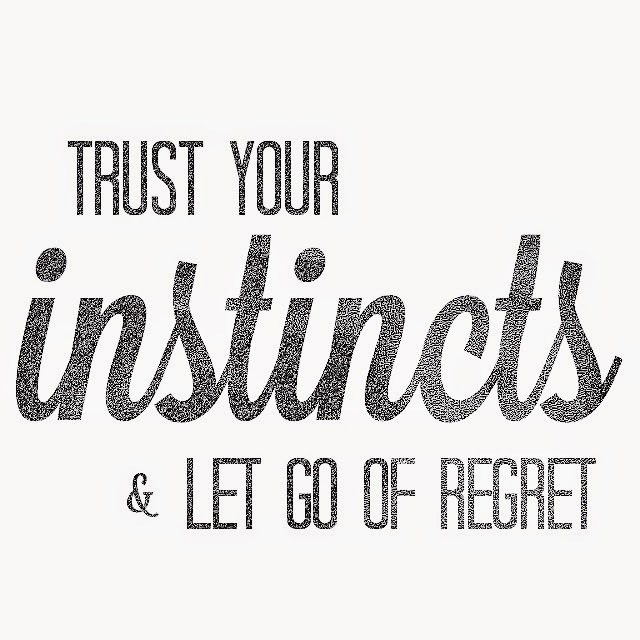 Something I have to try to do more often as I tend to second guess all the time! Free Month of Rocksbox for Everyone! Giveaway: Win a Set of Old Factory Candles!